1979 British Grand Prix. 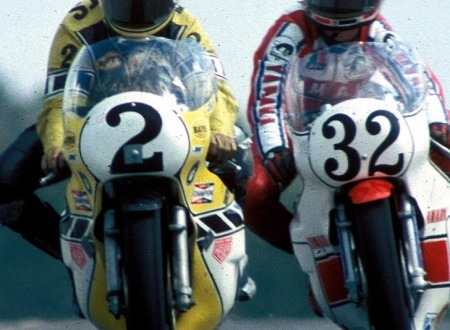 Kenny Roberts vs Barry Sheene. Battle royale. The race would go down in history as one of the best, if not the best outright, race of the 1970s. To this day the race is argued over in bars around the world, no fan of modern superbike racing is a real fan until they’ve seen this race. Twice.